Today is the start of the amazing FNB JOBURG ART FAIR at the Sandton Convention Centre, a diverse and spectacular selection of contemporary African art! 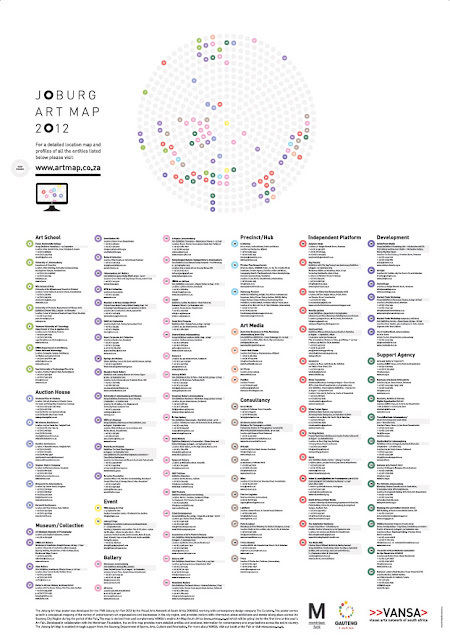 Scott and I, THE CURATORS, were commissioned by VANSA to design the print version of the ART MAP. 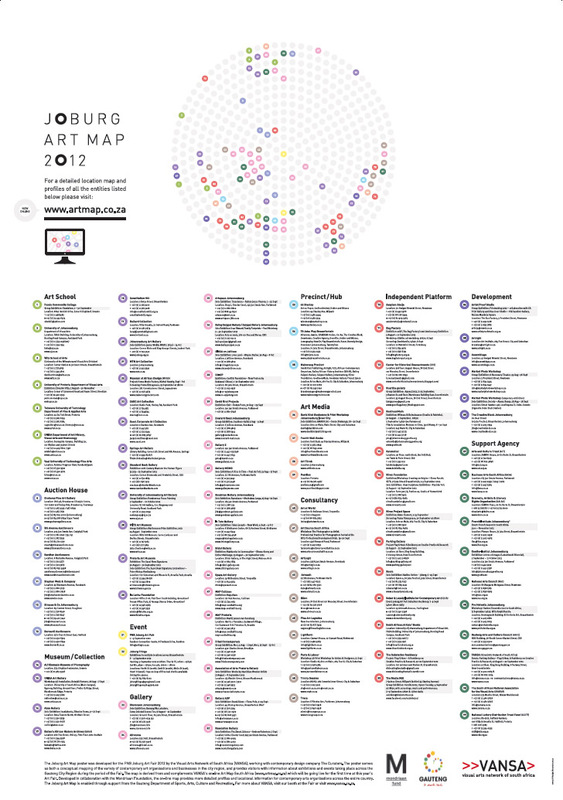 This is an A1 poster which supports the online ART MAP and directs visitors to the many exhibitions and events during the course of the program. 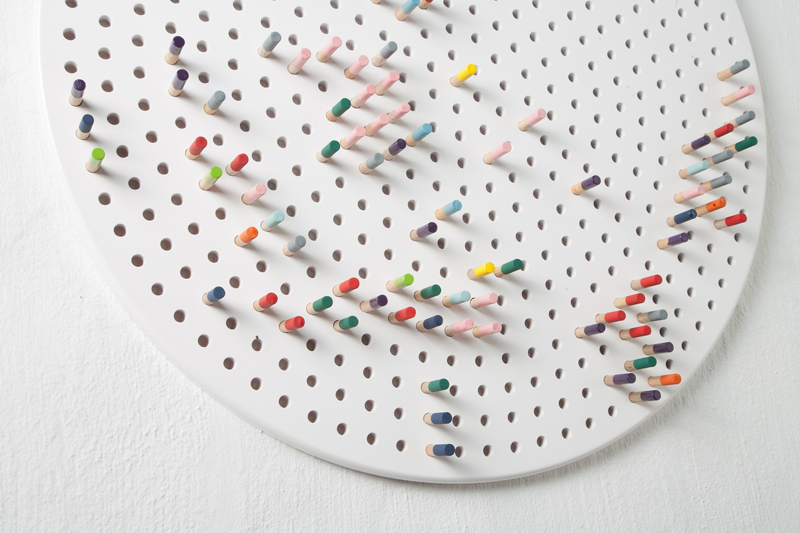 The front of the poster is a large wooden disc with dipped dowels placed to mimic the points on the virtual map. 99 dowels all cut, sanded and dipped by hand! (DIP DOWEL LOVE). 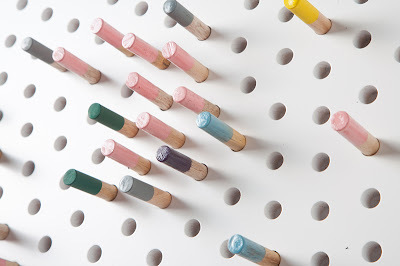 Our reference was the Dot paintings of Damien Hirst, IQ pegboards, vintage map tacks, vision deficiency tests, the contemporary trend for dipped wooden furniture and the dot patterns of indigenous cultures. Excellent! I really like your article. It looks nice and special. Please! 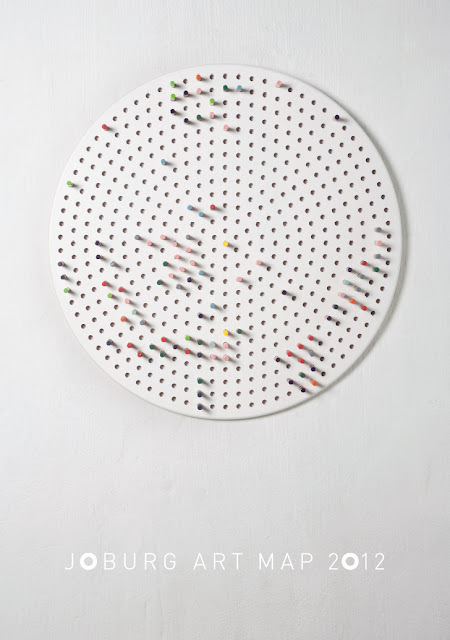 Share with me if you have new posts. Thanks!